Sann Rodrigues. From a promo for TelexFree. 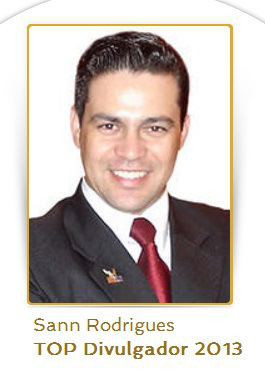 At the same time, the release noted that Rodrigues had been charged by the SEC in 2006 with “owning and operating Universo Fone Club and defrauding investors of millions of dollars.” The SEC alleged that Universo Fone Club was a pyramid scheme. Rodrigues, of Davenport, Fla., was arrested earlier this month at Newark International Airport on visa-fraud charges after returning from Israel, prosecutors said. A citizen of Brazil, according to court filings, Rodrigues presented his U.S. “green card to Customs and Border Protection Officers on May 3, 2015, at Logan Airport [in Boston], knowing that he obtained that document based upon false statements to immigration officials,” prosecutors said. TelexFree operated from Massachusetts. A court-appointed bankruptcy trustee has said TelexFree gathered on the order of $1.8 billion in about two years. Read the full statement by prosecutors on the arrest of Rodrigues and his release on conditions.